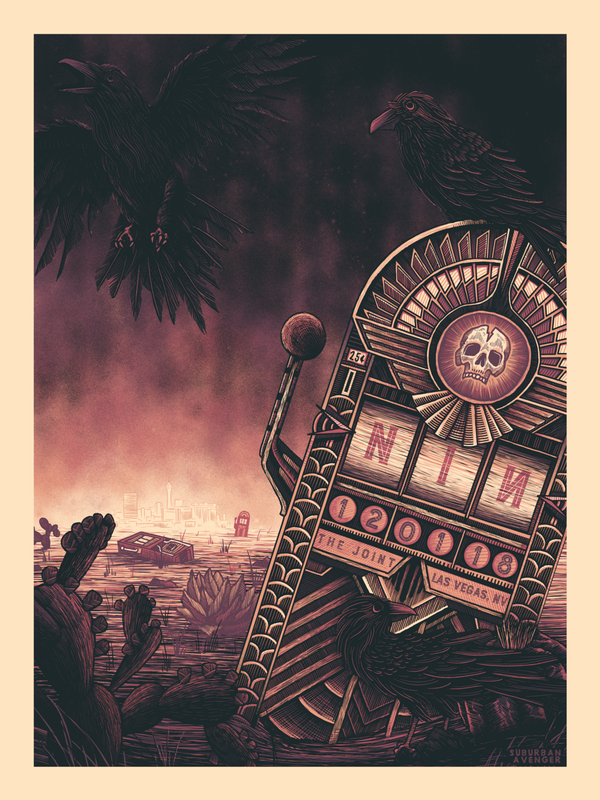 It’s a great honor to share my third (and personal favorite) and final poster for nine inch nails’ cold and black and infinite tour, commemorating their show tonight in las vegas. it’s been a lot of fun creating work for such a prolific band over these past few months, it’s also been great getting to know a lot of you NIN fans through the process as well. opportunities to create multiple things for the same tour are always such a treat.